internet map CUBES for you to visit, rename, and rearrange. 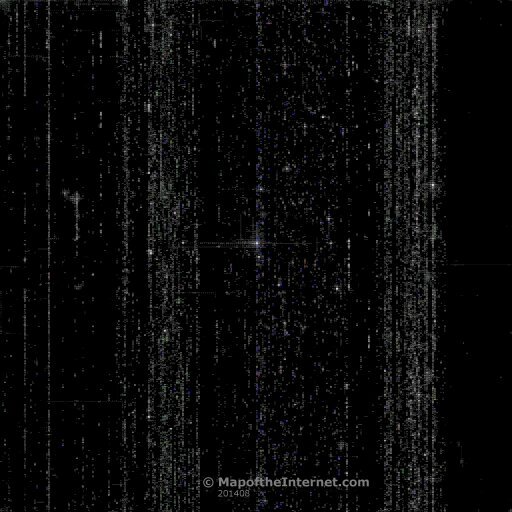 Expose the edges of the Internet Universe. The Internet Domain List does not sort or rank by popularity or quality. It is designed to ensure that all public sites on the entire internet world wide web can be listed, tagged and found by users. The MapoftheInternet.com Robot Crawler is also mapping the internet. Cyber Real Estate - You can buy, sell and make new virtual real estate of your own to put anywhere on the Internet Map. The cubes are ongoing locations of cyber realestate on the map of the internet that link to any internet address you want. Your map of the internet cubes can display a screen shot of your website, text label or other picture of any screen size. No installs, no downloads, no plug-ins or special software required ! Each computer on the internet has a special IP (Internet Protocol) number. The Internet Map of DNS Domain Name System IP address numbers are mapped into 256 Galaxies. With the Map IP locator you can lookup IP numbers and Host domain names with Whois, Traceroute, Ping and identify Server types. Hover over the Map to explore cyberspace, find websites, see host uplinks, connections, relationships and internet mapping infrastructure. Maps are necessary to find our way around large areas. What is larger than the Internet ? Like any Map, this interactive Map of the Internet displays features along with coordinates, like paper maps show in the margins, A5, B7, G9, etc. This online Map lets you SEARCH in various ways. It not only maps where things are, but lets you RE-MAP areas of the internet and turn complex addresses into easier to find short names. Visual pictures help people learn to recognize familiar areas rather than read long word lists like most search engines. The MAIN feature of the Map of the Internet, is not that of buying an advertisement, like banner ads. Rather, owners are investing in 3D coordinate LOCATIONS (Cubes, cubical, squares, cells, pixels, Cyber Realestate) that are easily found on The Map, to present their image and link to their online content anywhere on the internet. Each year millions of internet website owners are buying and renewing domain names. The Domain Name System DNS simply Maps the text name to an internet computer number to allow the website to be found by the alphabetical name. The Map of the Internet does not replace DNS Domain Name System. It supplements it in powerful new ways, allowing people to explore a visual Reverse DNS RDNS. Anyone can Re-Map URL Addresses to organize and promote their favorite world wide web sites. Map sites enjoy increased traffic as people explore neighboring cubes. "... relationships between items can be very complex, network data are very difficult to convey with methods other than visualization. Attempting to understand Internet traffic patterns, for example... graphic network maps ..."
" ...critical for such applications as search engines, business models for Internet transport, and network protocol design." "...the noncartographic specialist can now log on to an entire 'Map of the Internet' and drop in and link his or her own computer address as a 3-D visualisation in the network of all other addresses. ...mapping networks, especially as an intelligence task, carries with it more than just an aesthetic outcome; we are in the midst of a techno-epistemological impulse in which the form(at) of the map has a structuring effect on how we understand the organisation (structure) and dynamics (movement) of networks..."
Copyright © 1995-2019 MapoftheInternet.com - All rights reserved worldwide.